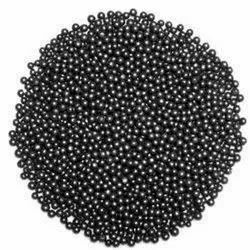 Leading Manufacturer of low carbon steel cut wire shot, steel cut wire shot application, high carbon cut wire shot, steel cut wire pellets and high carbon steel cut wire shot from Indore. To address the needs and demands of our prestigious clients from several industrial and commercial sectors, we have developed a quality enriched range of Steel Cut Wire Shot. 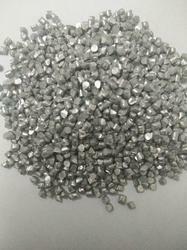 Available in varied range, this product is widely used for shot peening and general industrial applications of surface hardening in aviation and automotive sector. Rich in composition our range of products is widely preferred for its excellent quality. 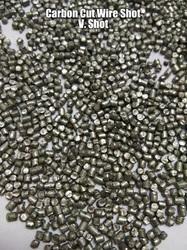 Steel Cut Wire Shot is produced by cutting wire into lengths equal to the wire diameter. Quality is assured by control of the chemical and physical properties inherent in the wire and accurate sizing to length. Every piece is 100% solid. Cut-wire is available in an "As-Cut" (Cylindrical) form as well as in conditioned (Spherical) shape. To address the needs and demands of our prestigious clients from several industrial and commercial sectors, we have developed a quality enriched range of High Carbon Cut Wire Shot. 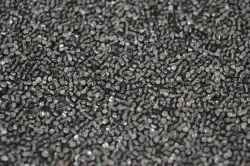 Available in varied range, this product is widely used for shot peening and general industrial applications of surface hardening in aviation and automotive sector. Rich in composition our range of products is widely preferred for its excellent quality.